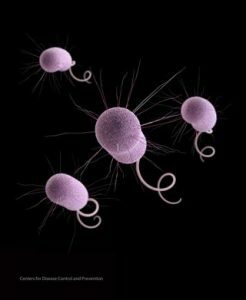 “Pseudomonas aeruginosa” bacteria, one of the germs that can evolve to resist antibiotics. “Essentially, we found nightmare bacteria in your backyard,” said the CDC’s Anne Schuchat. “These verge on untreatable infections,” she added, where the only option may be supportive care such as intravenous fluids and machines to maintain life to give the patient a chance to recover. About 2 million Americans get infections from antibiotic-resistant bacteria each year and of those, 23,000 die, Schuchat said.